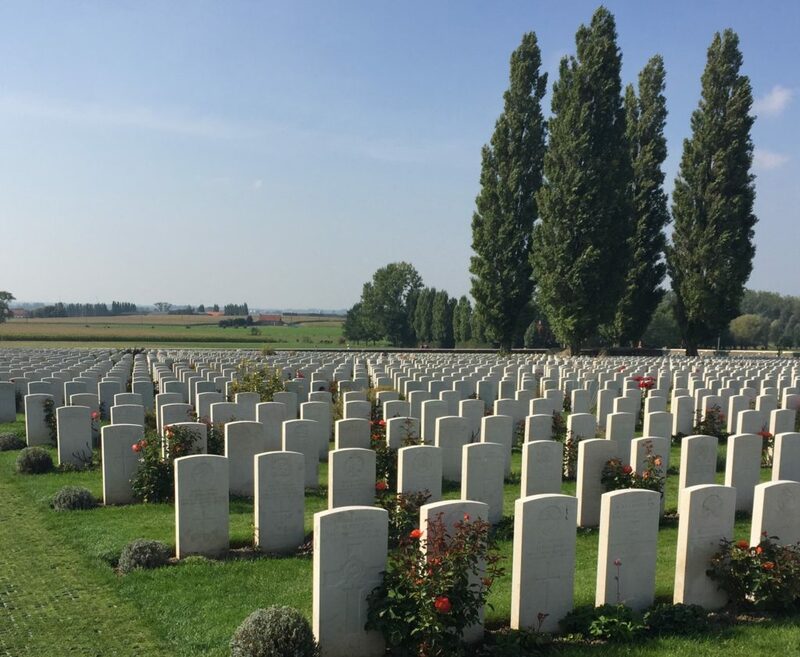 WorldStrides’ resident history buff and team member Clare Wood recently journeyed to Belgium to explore the Western Front Battlefields. Here she shares with us the impact this experience had on her personally and professionally as advocate for the benefits of educational travel for Australian students. Recently I travelled to Flanders Field to experience the Western Front Battlefields and surrounding areas. The first stop was Zonnebeke where I visited the Museum of Passchendaele which documents the Battle of Passchendaele, one of the bloodiest battles and most devastating battles faced by the Anzacs in WW1. October 1917 remains the worst month in terms of loss of life in any war for Australia – for this reason Australia will always share deep ties with Flanders, Belgium. The museum focuses on the military history of the battle also highlights the role of the different nations involved, including Australia. The Dugout and Trench Experiences are unique recreations that provide an insight as to what life was like on the front line. The museum helped me to visualise and bring to life the actions and movements of these heroic soldiers. Afterwards I visited the Australian Memorial garden. This beautiful garden – lined with plants from Australia – was a very peaceful place to reflect on what these young men had sacrificed. The Tyne Cot Cemetery was a confronting place to visit. 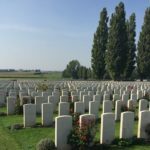 The largest commonwealth cemetery in the world, it features 12,000 allied soldiers – the majority of which remain unidentified or “known unto God”. The depth of this loss cannot be put into words, to read that number alone is nothing in comparison to walking among those 12,000 graves. Ypres was a highlight and the city gave me a real sense of hope and perseverance. This beautiful and charming city was reduced to a pile of rubble during WW1, being almost completely destroyed by four years of war. The people of Ypres succeeded in faithfully rebuilding the city – brick by brick – to its former glory. As such, the city has a medieval feel but is essentially only 90 years old. In Ypres, every night since 1928, the Last Post is played at 8pm sharp in remembrance of the sacrifice of so many during WW1. This is held under the Menin Gate where the names of fallen soldiers are inscribed on the walls. It’s incredible that this ceremony is run every night and highlights the ongoing commitment to honouring those who lost their lives. I was honoured to be a part of the dawn service of the 100th commemoration of the Australian battle of Polygon Wood (Passchendaele). As I sat among the graves on a very cold and dark morning, listened to our national anthem play and watched our flag flying high, I could not help but cry and be thankful for what these young men went through so that we can live in a free, peaceful country. I can’t find words strong enough to describe the impact this experience will have on your students both academically and personally. Having studied WW1 at school it really brought my classroom learnings to life and I walked away with a much deeper understanding of the war, the role that Australia played and the resounding impact it had around the world. Learning about the Australian troops that fought for our freedom – some of which weren’t much older than students these days – gave me a great sense of pride for our country. WorldStrides travels to France and Belgium to explore the Western Front Battlefields. Visit our itinerary or contact our tour specialists on 1800 331 050.